Welcome to Yorkshire is the official Destination Marketing Organisation for Yorkshire with one clear priority, to make Yorkshire the most popular destination in the UK for business and leisure. 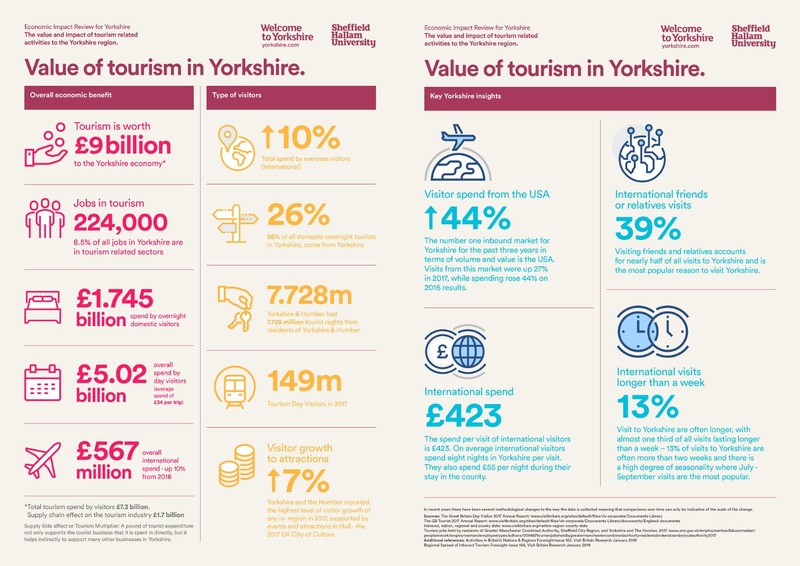 Tourism is now worth £9billion to the Yorkshire economy. Our membership scheme offers you and your business the opportunity to benefit and be part of this success. Enhanced web entry and link to your site from the award-winning yorkshire.com, now one of the leading tourism websites in the UK, attracting over 5 million visitors each year. Free invitations to monthly networking events, updates and workshops, where you can meet WTY staff and fellow members, and share ideas. Special member discounts at Crown Decorating Centers across the UK, and reduced rate advertising for members in WTY publications and websites. Yeadon Town Hall have recently launched a newly refurbished bar area, now rebranded the Town Hall Tavern. Marcel Kittel is the latest star rider to confirm his attendance at the 2019 Tour de Yorkshire and will be joined by Katusha Alpecin team-mates Harry Tanfield and Nathan Haas. The North Yorkshire Moors Railway (NYMR) is set to reveal what goes on behind the scenes. To celebrate its 100th year of running, the much-loved Q6 class locomotive No.63395 has taken a trip down memory lane and received a makeover which has restored it to its original livery – dating back to 1918. Artists from Sand In Your Eye created a unique light art animation in Kettlewell, the Yorkshire Dales to celebrate the Tour De Yorkshire 2019. The Village will be returning to Millennium Square in Leeds as part of the celebrations around the 2019 Tour de Yorkshire. The free spectator hub will see dozens of live performances and family friendly activities taking place to celebrate this year’s race. Yorkshire’s tourism industry is celebrating a bumper Easter weekend, with some of the county’s favourite attractions reporting record-breaking visitor numbers over the four-day bank holiday. Gentleman Jack is the dramatised story of Anne Lister, a wealthy landowner, spinster and diarist who lived at Shibden Hall in the early 1800s.